'True to Life' is a three-level course designed to meet the needs of today's adult learners. 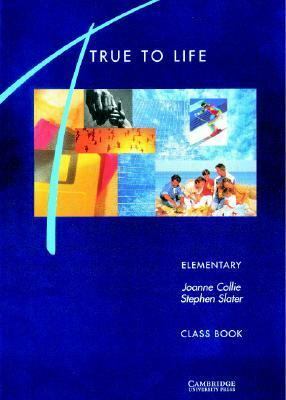 It concentrates on themes, language and learning styles that are relevant to adults, and places a particular emphasis on fluency and productive skills.Collie, Joanne is the author of 'True to Life Elementary Class Book English for Adult Learners' with ISBN 9780521421409 and ISBN 0521421403. Loading marketplace prices 2 copies from $9.91 How does the rental process work?